Antonio Fernandez is serving life without parole for a slaying he committed when he was a teenager. Six other Massachusetts youths have received the maximum penalty for slayings they committed before they turned 17. One 16-year-old went looking for marijuana at a Brookline High School graduation party and shot the guest of honor in the chest when he got a racial slur instead. The other 16-year-old stabbed a man 23 times inside his Springfield apartment, returning the next day to steal things from the victim’s home as his body lay nearby. Both crimes were horrific, but the punishments were strikingly different. The teen convicted in Springfield, Edgardo Rodriguez, accepted a plea deal for the 2004 killing of Joel Rivera Delgado that allows him to potentially walk free within the next decade. 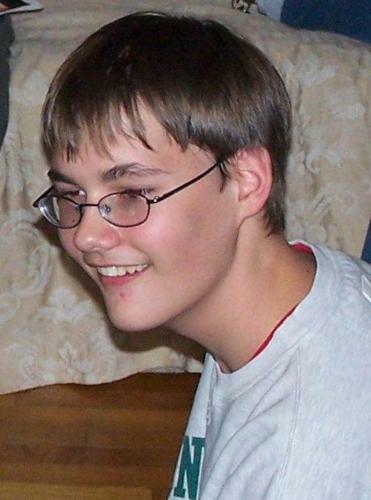 John Odgren, a special needs student who stabbed a Lincoln-Sudbury classmate to death in 2007, is serving a life sentence without parole. The other teen, Antonio Fernandez, took his 2002 Brookline case to trial and lost, receiving the harshest juvenile sentence Massachusetts permits - the harshest in the country, in fact - for shooting Perry Hughes: life in prison without the possibility of parole. Until then, Fernandez had never been charged with anything worse than stealing video games. Now, he is sentenced to remain in prison until he dies. The two cases illustrate the profound inequities that have grown up in the juvenile justice system since passage of a 1996 law aimed at cracking down on juvenile “super predators’’ by requiring them to be tried in adult court, an investigation by the New England Center for Investigative Reporting has found. Before the change, teenage murder defendants were sometimes tried in juvenile court, where, if convicted, they could be sentenced to serve only until age 21. Now such teenagers as young as 14 can be sentenced to life without parole. Seven Massachusetts youths have received the maximum penalty for slayings they committed before they turned 17. But in only two cases - a fatal beating with hammers and the stabbing of a stranger in a school restroom - did their crimes approach the cruelty of the Somerville teen who inspired the law, Eddie O’Brien. He stabbed his best friend’s mother 97 times in 1995, continuing to slash her long after she had suffered mortal wounds. Four of the teenage lifers acted impulsively, settling petty disputes with lethal attacks, the review of murder cases shows. Fernandez, for instance, had pedaled his bicycle to the graduation party and later snapped when guests turned hostile, witnesses said. Only two of the seven lifers had a record of violent crime, the investigation found, and two had no criminal history at all. Meanwhile, more than 60 other teens charged with murder since 1996 have escaped the maximum sentence, court records show, often pleading guilty to a lesser crime such as second-degree murder, making them eligible for parole. Yet, many of these youths committed shocking, grisly crimes; one was convicted of beating a 2-year-old to death. A review of these cases found no obvious pattern to explain why some killers got life without parole and others got lesser sentences. What is clear, however, is that the law has not been applied consistently to the most grievous murder cases. Juveniles whose crimes approach the cruelty of O’Brien’s have escaped the harsh sentence, while spontaneous acts of violence by teenagers with little prior record are punished with life behind bars. MASSACHUSETTS is the only state in New England to impose life without parole on juveniles in the past 15 years. Nationally, at least six states have abolished similar laws, making Massachusetts a target of criticism even from law-and-order Texas, where legislators recently repealed life without parole for juveniles. The Bay State is “meting out unequal justice’’ to teenagers, declared Texas state Senator Juan “Chuy’’ Hinojosa, who led the fight to make juvenile killers eligible for parole after they serve 40 years of their sentence. No prosecutors from the Massachusetts counties where teens have been sentenced to life without parole - Middlesex, Suffolk, Essex, and Norfolk - would comment on their cases for the record. Prosecutors credit the law with forcing brutal juvenile killers into adult court, unlike the old system, where teens facing murder charges could be tried in juvenile court, where punishments tend to be much lighter. Thomas F. Reilly, a former attorney general who prosecuted O’Brien when he was Middlesex district attorney, still strongly supports the law, saying it has improved public safety. An adult trial for murder defendants over age 14 “is a perfectly appropriate way of dealing with truly heinous situations,’’ Reilly said. Some victims’ families argue that, if anything, the super predator law does not go far enough. “If it was my decision, we’d have the death penalty,’’ said Olivia Singletary, the adoptive mother of Fernandez’s victim. But critics of the law say that recent scientific studies demonstrate that it is inappropriate to treat adolescents like adults in murder cases. Brain imaging research indicates that adolescent brains are underdeveloped in areas associated with risk assessment and moral reasoning, making them more prone than adults to impulsive responses. State Senator Harriett Chandler, a Worcester Democrat who voted for the 1996 law, said the science convinced her that life without parole is too harsh a punishment for people whose brains are still developing. She introduced legislation in September to allow juveniles sentenced to life without parole to apply for parole after 15 years. “I’ve had second thoughts,’’ Chandler said. Some judges who have presided over juvenile murder cases also have expressed discomfort with the maximum sentence. “I don’t know what the answer is. But I don’t think we do justice by sentencing someone 16 and under to life without parole, no matter what the circumstances,’’ said Isaac Borenstein, the retired Superior Court judge who had presided over the Fernandez trial. Some jurors say they are haunted by the severity of the sentence imposed on teenage murderers. Carletta White, forewoman of the jury that voted to convict 16-year-old Kentel Weaver of first-degree murder in the 2003 shooting of 15-year-old Germaine Rucker, said she had no idea that Weaver could wind up with such a harsh sentence. “I didn’t think he was going to get life,’’ she said. Sitting in an austere prison conference room, sporting tightly woven dreadlocks and a drab jumpsuit, Fernandez, now 26, recalled his icy shock, his knees nearly buckling under the courtroom table, as the jury announced its verdict against him. But not until he actually spent time in an adult prison, he said, after turning 17, did he really understand the price he was going to pay for shooting Hughes. Though his lawyer prevented him from answering questions about the murder in an interview, Fernandez expressed remorse in a 2008 letter he filed in Norfolk Superior Court in an attempt to reduce his sentence. That is a change from the days after Fernandez shot Hughes: First, he fled to New York City, then he tried to blame a friend for firing the fatal shot. Prosecutors offered to let him plead guilty to second-degree murder, which would have given him a chance at freedom in 15 years or less, but Fernandez wanted to see if he could convince a jury of his innocence. Like other teens who have received life without parole, Fernandez grew up in difficult circumstances. Born to a 15-year-old mother, Fernandez was a week old when she decided she couldn’t care for him. She gave the boy to her mother, who was abusive and had been hospitalized in an inpatient psychiatric unit, according to an affidavit Fernandez’s mother filed in his case. Now, Fernandez hopes the change in state law proposed by Chandler, which would apply to current and future lifers, might give him a chance to rebuild the life he shattered at 16, perhaps embark on a music career and connect with his younger siblings. Vong Oung of Lynn, with a photo of his son, Kevin Keo, who was sentenced to life without parole for a 2007 shooting death. Like Fernandez, Kevin Keo rejected a plea bargain that would have made him eligible for parole in 15 to 16 years for the 2007 shooting death of Christian Vargas-Martinez, a gang rival he blamed for slicing off part of his ear a few weeks earlier. Keo, then 16 and with no criminal record, insisted he was innocent right up to the moment he was sentenced to life without parole. “He was just a baby a few years ago, and now his life is done,’’ said Keo’s father, Vong Oung, who regrets that he didn’t press his son to accept the plea deal. Parents of some teenage lifers said they made foolish decisions because they had no understanding of the judicial system. Kentel Weaver said he confessed to murdering Rucker mainly because his mother mistakenly insisted that was the only way he could get a lawyer. ANOTHER LIFER had to make life-determining legal decisions almost entirely on his own. Noeun Sok, a 15-year-old Cambodian immigrant, was accompanied only by his sister when he turned himself in to police in 1999: He immediately waived his right to remain silent and confessed to fatally stabbing a gang rival earlier that day. At his friend’s urging, Sok admitted that he chased Keoudone “Tiny’’ Onexavieng, 18, and put a 30-inch Samurai sword in his back. “I never meant to hurt Tiny. I only wanted to scare him,’’ Sok told police. Sok’s parents didn’t attend his trial, so when he began sobbing uncontrollably, the judge ordered an additional lawyer to act as his guardian. Meanwhile, other teenage murderers who had lengthier, more violent criminal records than Sok, Keo, and Fernandez have avoided life without parole. Michael “Shawn’’ Warner’s juvenile record included multiple counts of assault and battery with a dangerous weapon by the time he was tried for shooting John Rodrigues twice from behind during a drug dispute. He fled the scene of the 2000 shooting on his scooter and evaded arrest for nearly three years. But Suffolk County juries could not reach a verdict after two trials, and prosecutors instead offered him a deal to plead guilty to manslaughter. Sentenced to 12 to 14 years in prison, Warner is eligible for release between 2020 and 2024. 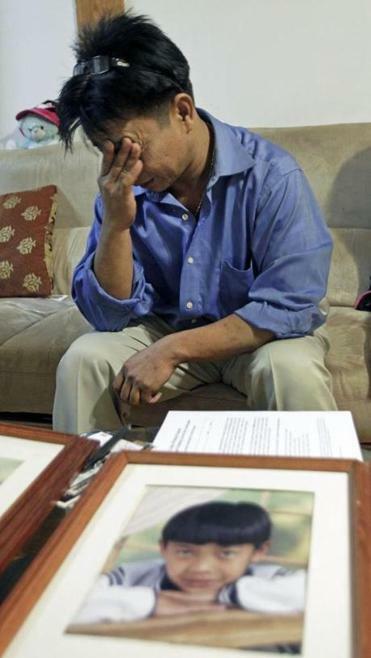 Likewise, Billeoum Phan of Lowell, 14, had already faced charges in numerous violent attacks before he shot Samnath Oth, a feared gang member, during a 2006 birthday party in Lowell. Yet, he was convicted of manslaughter - not first-degree murder - and the judge pronounced him “salvageable,’’ sentencing him to the Department of Youth Services until he turns 21. After that, he will have to serve five years of probation and a 12-year suspended sentence, but he will be free. AMONG murder defendants suffering mental illness, the sentencing is just as varied, with one getting life without parole while another served fewer than 10 years for seemingly similar crimes. Valerie Hall, a Shrewsbury teenager, pushed her mother, Kathleen A. Thomsen Hall, down a flight of stairs in 2000, then struck her head twice with a hammer, leaving her to die while she went for a ride with her boyfriend. Prosecutors say Hall was angry that her mother grounded her after the daughter stayed out late. But the Worcester County district attorney agreed to let her plead guilty to voluntary manslaughter and assault with a dangerous weapon instead of first-degree murder, acknowledging that the girl was being treated for depression and had attempted suicide a few weeks before the murder. Hall was paroled to a halfway house in 2009. 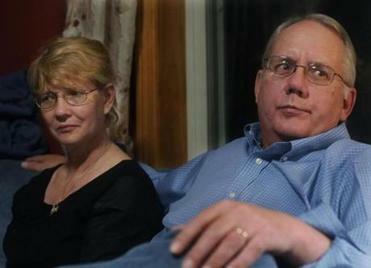 Above, Dot and Paul Odgren, whose son John, a special-needs student who attended Lincoln-Sudbury Regional High, is serving life without parole at Bridgewater State Hospital for the 2007 murder of James Alenson. Hospital for the 2007 murder of 15-year-old James Alenson, a boy he did not even know. Odgren, a special-needs student who attended Lincoln-Sudbury Regional High, hid in the school’s boys’ room and surprised Alenson, stabbing him multiple times. Odgren’s lawyers argued their client had lost touch with reality following a lifetime of bullying and harassment from other youths, but a Middlesex County jury rejected his defense of not guilty by reason of insanity. Paul Odgren, father of John Odgren, said it is time to realize that murder cases are not always clear-cut and that teenagers convicted of first-degree murder should at least have a chance at parole. He realizes that his child should never again be left unsupervised, but his son has no hope that he will ever get out of prison. “The only thing that is worse than what happened to us is what happened to them,’’ said Odgren, referring to Alenson and his parents. “Kids are not adults. It’s reflected in all our other laws. They can’t drive. They can’t vote. They can’t get married. They can’t join the military. Why should they never, ever have a chance to rehabilitate themselves?’’ Odgren asked. The New England Center for Investigative Reporting at Boston University is a nonprofit investigative reporting newsroom. Maggie Mulvihill, the center’s co-director, supervised this project. Other contributors were Rochelle Sharp and NECIR interns Jill Carlson, Susan Zalkind, Carol Cole, and Alexandria Burris. Correction: Due to an editing error, an earlier version of this story inaccurately characterized Antonio Fernandez’s relationship with his grandmother. Fernandez’s mother accused the grandmother of child abuse in a court affidavit.